Bonsoir! I went into Newcastle with a couple of the girls for lunch and to try and make the most of my day off. While walking down Grey Street I noticed a new bakery has opened, Ma Provence. Unfortunately we had already stopped for lunch so I did not get to sample anything. I have to say that their gaufre chocolat looked (and smelled) AMAZING!! I did manage to grab a coffee to go, and I’ll definitely be stopping by next time I get a chance! The French theme reminded me of a gorgeous book I found in a charity shop for £1 a little while ago. 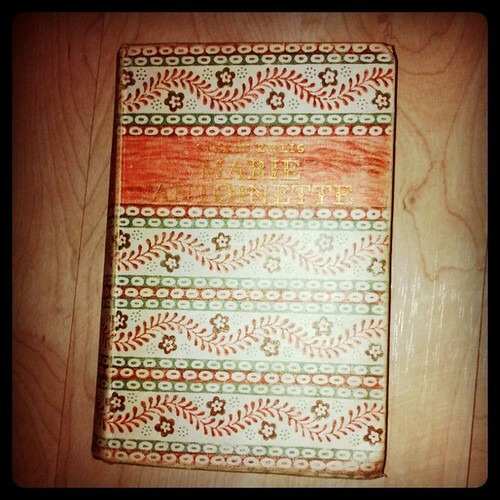 It’s a biography of Marie Antoinette and I love the patterned cover. It reminded me of a collaboration by various artists which was released to coincide with the release of Sofia Coppola’s film. 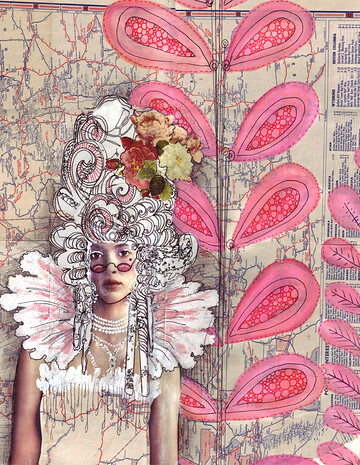 I stumbled across the project online while researching journal artists during my final year of A-Level. 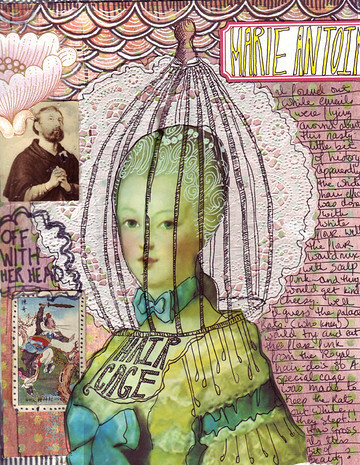 The result was an amazing journal filled with gorgeous pages of Marie Antoinette inspired pieces. 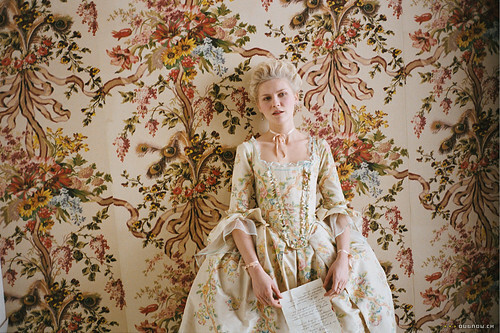 Looking through the images made me want to return to Sofia Coppola’s gorgeous cinematography. Whether or not you enjoyed the movie itself, you can’t deny that aesthetically it is beautiful. Next Post summer time in October? if you have a little time, please have a look at my blog and follow me too, if you want. J adore ces images!!! Super belle époque!! 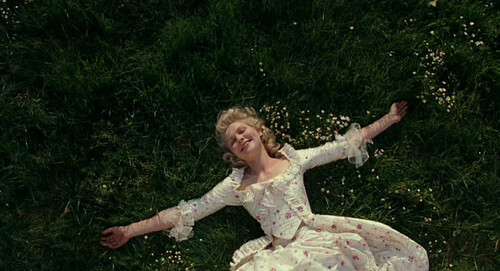 I love Sophia Coppola and Marie Antoinette was such a fun movie full of beautiful imagery. i want to see the film once again!! !